Fope Flex'It Solo 18ct Yellow Gold 0.50ct Diamond Bracelet, 657B BBR. This sophisticated Fope bracelet comes from the Solo collection and features the world renowned Fope Flex'It design that means the bracelet moulds perfectly to the wrist and is clasp free for convenience. The bracelet features woven 18ct yellow gold and is embellished by seven 18ct white gold rondelles, three of which are embellished with 0.50cts of sparkling brilliant cut diamonds. Fope jewellery looks stunning when layered with other pieces from the collection. Mix Yellow, White and Rose Gold pieces for that on trend look. You can also find matching items within the Fope collections on our website. 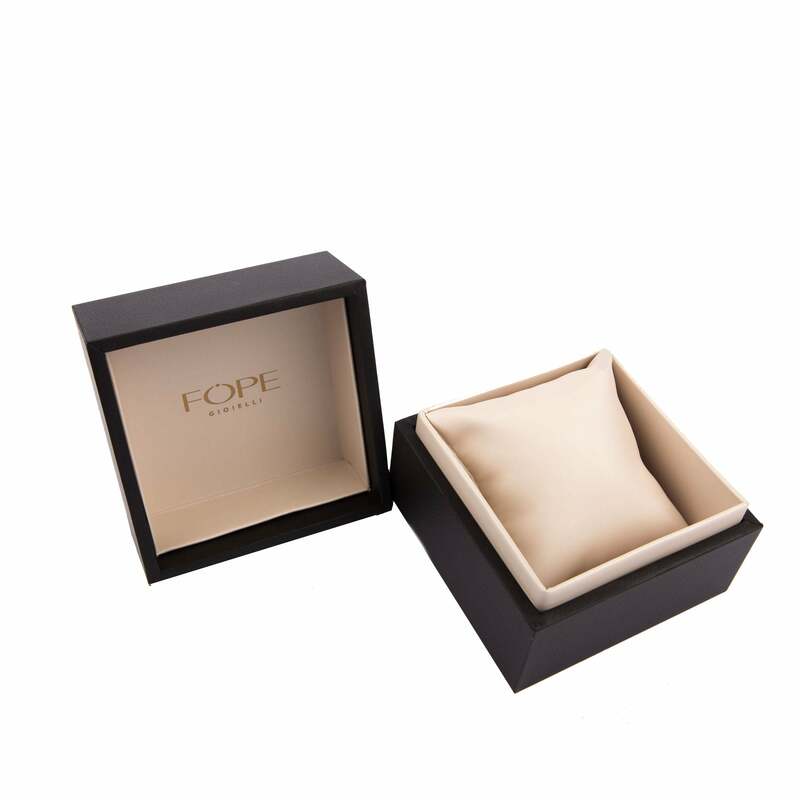 All Fope articles purchased from W Hamond are lovingly and securely dispatched in elegant Fope jewellery packaging, complete with certificate of authenticity.